2011, acrylic on canvas, 28" x 22"
It’s a Generation Thing in America: Past! Present! Future?! "My piece Free Me was a message to my attorney, a reminder to him: Free me! I do believe I’m going to be free. I won’t be locked in this modern day plantation called San Quentin. 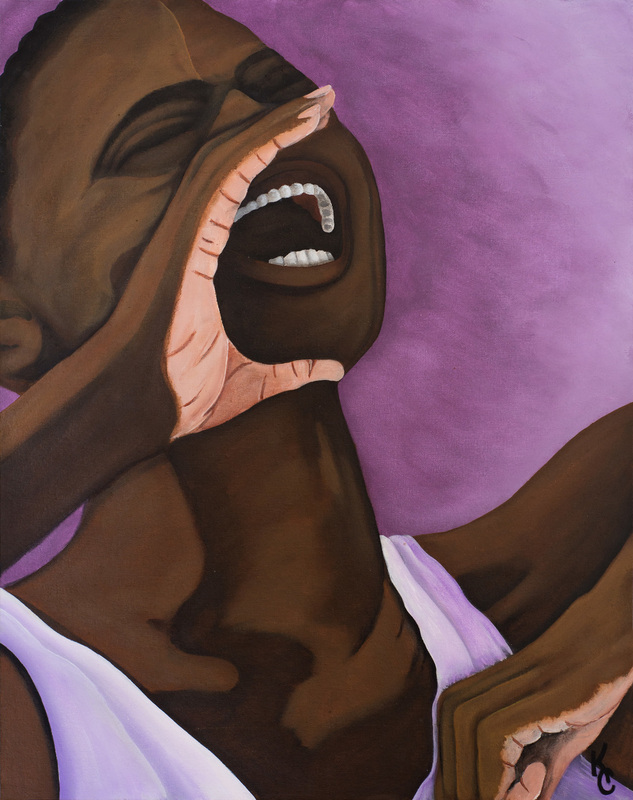 The second piece, It’s a Generation Thing in America is about the different generations of black men that have been in prison. Here in San Quentin, you have a father and a son and a grandson, all in prison at the same time. We went from slavery to slavery by another name: prison labor. The little guy in the front, he’s wondering : ‘Is this what’s in store for me?’ Symbols is about America. Our history in America. 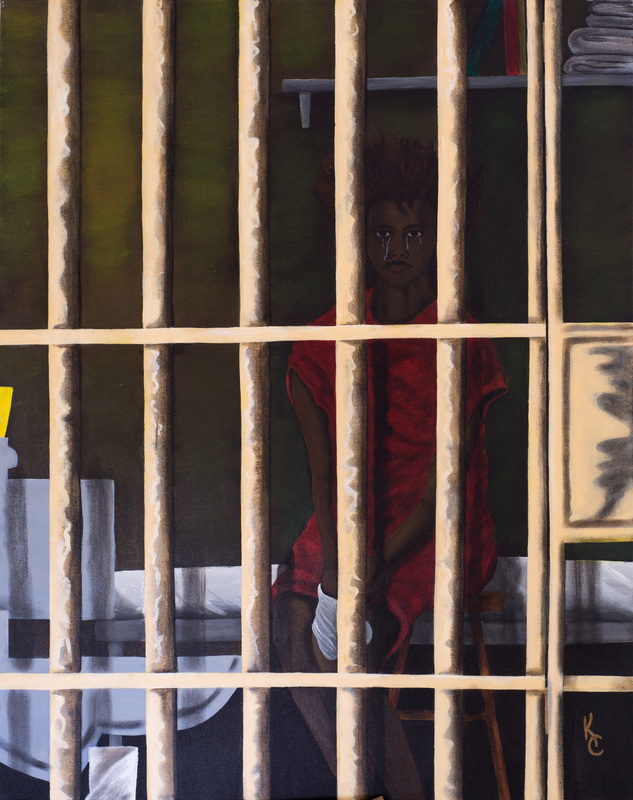 My work is not just a reflection of my experiences on death row." Visit Kevin Cooper's website here. Cooper was also featured as a part of the CNN series Death Row Stories. In February 1985, Kevin Cooper was convicted of four counts of first degree murder - a couple and two kids - and one count of attempted murder (on a 8 year old). Cooper has continuously denied any involvement in the crime. He has lost and exhausted all his appeals.